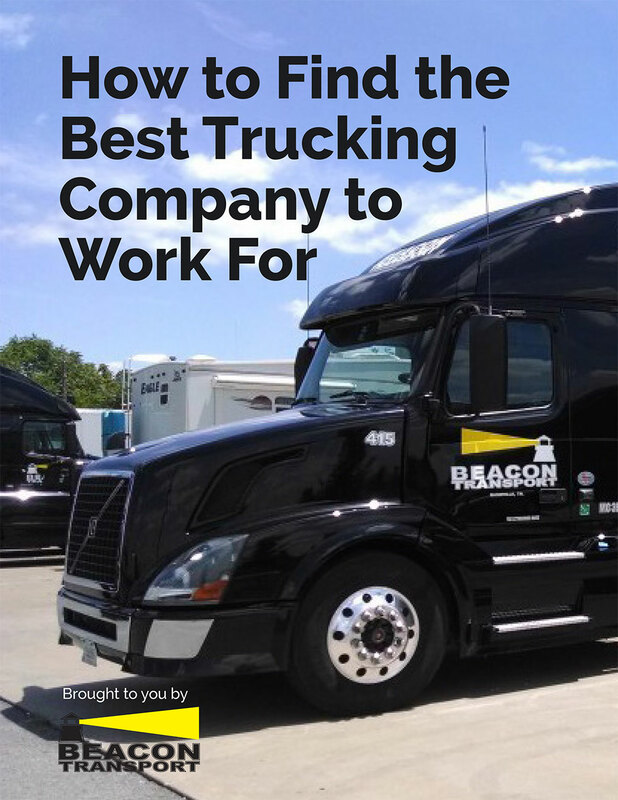 Thanks for downloading our free eBook, How to Find the Best Trucking Company to Work for. We’d love to talk to you about opportunities at Beacon Transport. Give us a call today at 877-277-0238 or contact us online. We wish you the best of luck in your truck driving job search!